Perfection from start to finish. Made for fans of the previous versions, Lady Gaga/Bradley Cooper fanatics, and anyone else looking for Oscar bait. I can’t help but think somewhere online there’s a war raging over whether Lady Gaga is underrated vs. overrated. Leave it to the most unlikely source – co-writer/director/producer/star Bradley Cooper – to put everyone in their place with A Star Is Born. Regardless of how you felt toward Lady Gaga before seeing the film, you’ll walk out with a whole new level of respect. She is the real deal, and you could say a star is reborn. Featuring outstanding performances, music, and the best on-screen romance in years, it’s going to take something big to take this one down come award season. Jack (Cooper) is a southern-rock singer who keeps his pill and alcohol addiction a secret. Truth is, he’s got a bad case of tinnitus and uses it as a way to drown out the noise. One night, while driving around after a show, Jack winds up at a drag bar where he’s instantly smitten with Ally (Gaga) after a breathtaking rendition of “La Vie en Rose.” The two wind up icing Ally’s hand in the parking lot of a grocery store after she punches a cop in the face. Now, Jack is determined to make her the star she deserves to be. But the two are about to find out just how hard love can be while dealing with addiction and a heavy case of jealousy. 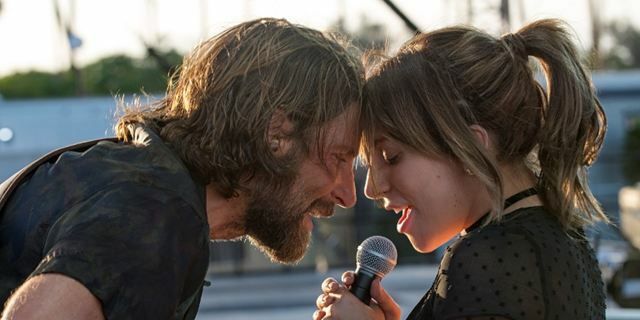 With A Star Is Born, Cooper has delivered a true musical masterpiece from start to finish. The real star of the film is the music. Cooper and Gaga reached out to Lukas (son of Willie) Nelson to help write the songs and they’re all as phenomenal as the performances. Using live performances, Cooper and Gaga light the screen up. Never taking a wrong turn, you love these characters through-and-through. This may be the fourth film version, but it loses none of its power. Raw, real, and emotional, this is the kind of film a thesaurus lives for. If Gaga, Cooper, and the film itself aren’t nominated come Oscar time, it’ll be a travesty. Even Sam Elliott — as Jack’s older brother/manager — is fantastic. This is don’t miss entertainment of the first order, and even though the soundtrack is available to tide me over, this is one I am dying to see again!